Emeralds are the blueish-green to green color variants of Beryls. 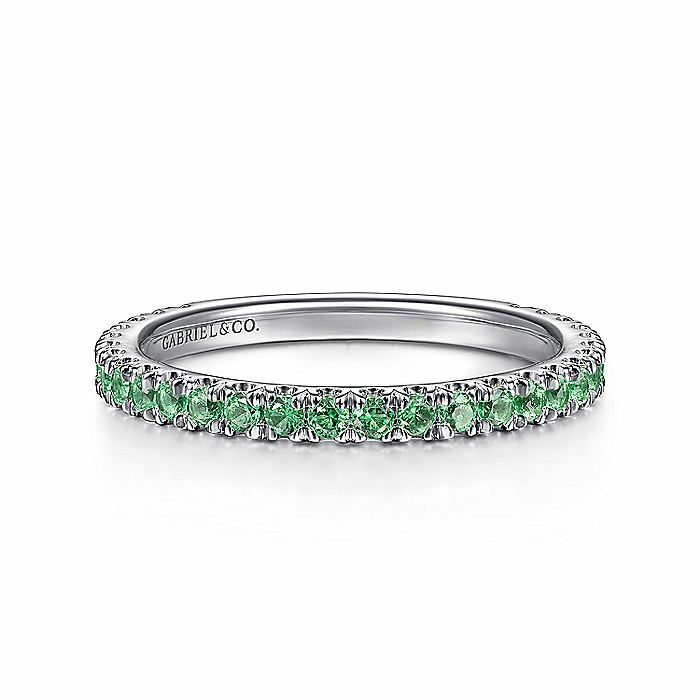 If the tone of the green is too light, some people call the gem a Green Beryl vs. Emerald. The darker the green, the more expensive the Beryl. Reflecting the perennial beauty of lakeside pines, these emerald earrings create a stunning look no matter the season. A teardrop scroll design of Sterling Silver dangles from a pear-shaped emerald cabochon for a blend of color and sophistication. Intricately designed and simply feminine, the earrings measure 1-3/8" long x 1/2" wide with post and clutch. Made in America with gemstones from around the world.